Una nueva forma de hacer pompas de jabón, con el tutorial de Housing a Forest. 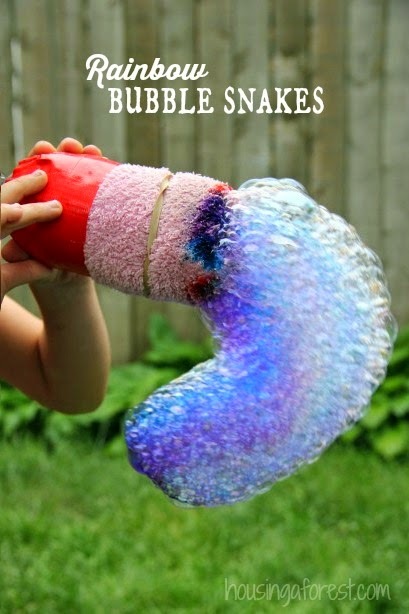 Make a new way to blow bubbles. DIY by Housing a Forest. 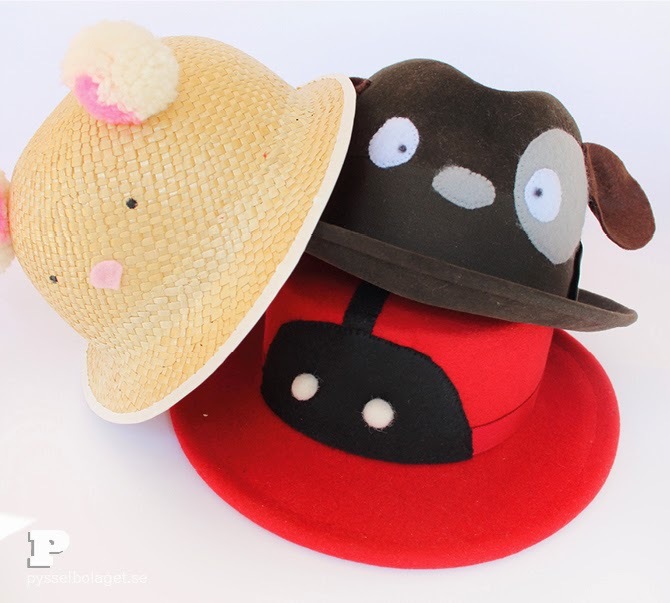 DIY de My Poppet para hacer estas pulseras de madera forradas de lana. 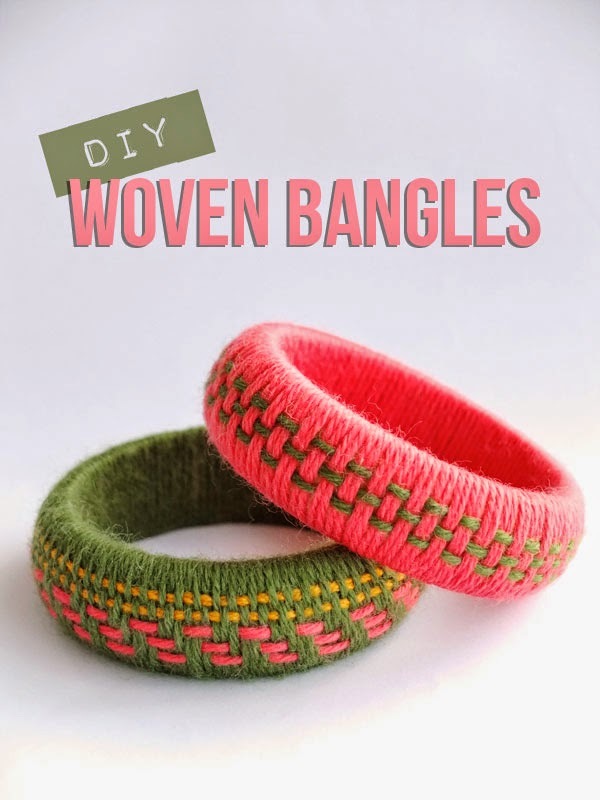 DIY woven yarn bangles by My Poppet. Dinosaurios con platos de papel y los imprimibles de Craft Train. 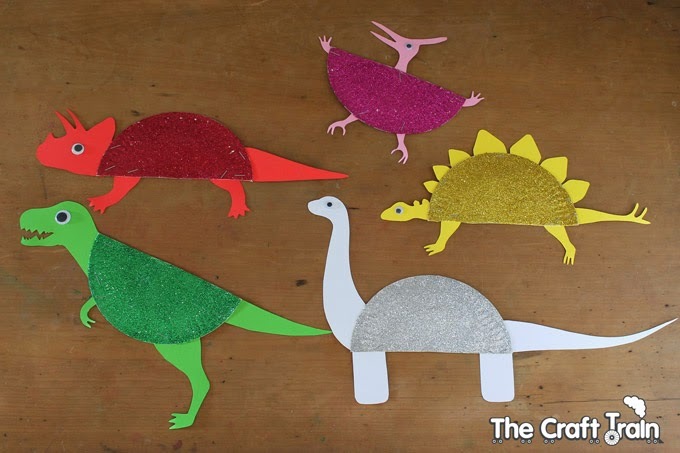 Sparkly paper plate dinosaurs. 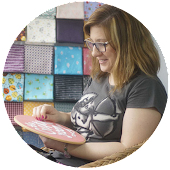 You can download the templates on Craft Train. Pompones en cadena. La idea es de Flax & Twine. 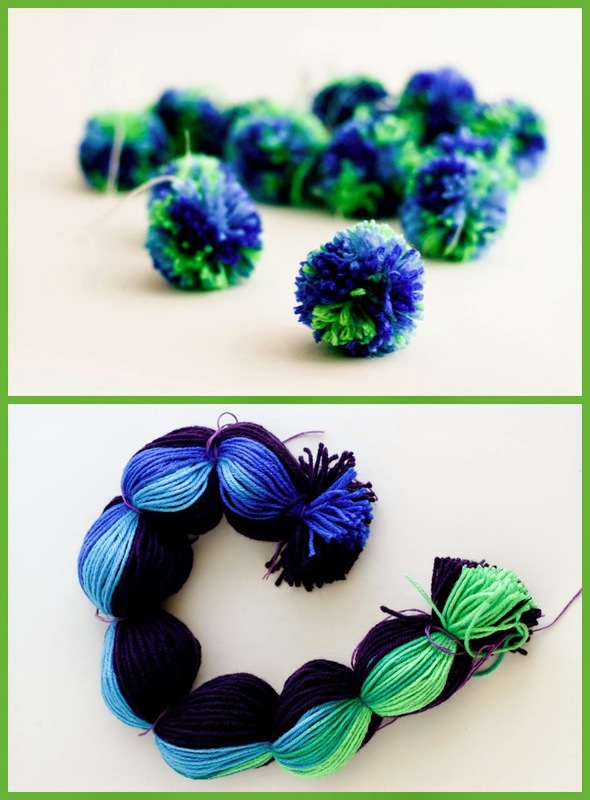 Pompoms in bulk, an idea by Flax & Twine.